Your Car is a valuable & cherished possession for you. Before buying a car, you did a lot of brainstorming and then picked your dream car. While driving your dream car, it’s so common and susceptible to unfortunate damage or loss. But, here at Shriram, we provide exclusive car insurance policy for our valuable customers. Being insured with Shriram General Insurance, you can drive your dream car with peace of mind. So, buy/renew with Shriram car insurance online now!!! You can buy or renew car insurance policy with your home comfort in few easy steps. With our online car insurance, you will get a comprehensive coverage that not only covers your car against the mandatory third party liability, but also against the losses caused to your car due to fire, theft, explosion, burglary, riots, strikes, earthquakes, flood, cyclones, accidents, malicious acts & terrorist activities. Besides above, having car Insurance with Shriram General Insurance, you can avail the enhanced protections through unique car insurance add on covers. Why do you need to buy car insurance policy? While you are busy planning for long drives, it’s important that you also safeguard your vehicle. Regular maintenance and careful driving ensures smooth driving, however that would not reduce the possible risks of accident, theft and natural calamities. On the basis of the plans you opt for, you secure yourself against road accidents, theft, among others along with which you can get cashless settlement at network garages and a lot more! Car insurance is compulsory in India as per the provisions of Motor Vehicles Act, 1988. But just complying with law is not enough. You have to go with the right option to get the correct offerings and functionalities. It is not only your Car that needs the protection, but you, your driver, occupants and third party as well have to be protected against accidental contingencies. Get along with a Package Cover with Add-ons to secure your way. What Does Shriram Car Insurance Policy Cover? Loss or damage to your vehicle: Our car insurance policy covers you against any loss or damage caused to the vehicle due to the following natural and man-made calamities. Natural Calamities – With Shriram Car Insurance Policy, your vehicle is protected from Fire, explosion, self-ignition or lightning, earthquake, flood, typhoon, hurricane, storm, tempest, inundation, cyclone, hailstorm, frost, landslide, rock slide. Man made Calamities – Shriram Car Insurance policy also protects your vehicle from Burglary, theft, riot, strike, malicious act, accident by external means, terrorist activity, any damage in transit by road, rail, inland waterway, lift, elevator or air. Third Party Liability – With Shriram, you don’t need to worry about third party liability. You will get unlimited coverage i.e. whatever the court awards as your liability to the “Third Party” due to accidental death or injuries caused by your vehicle, will be met with by Shriram General Insurance Company Ltd.
Property Liability – In case of your vehicle causing “Third Party” property damage, Shriram Car Insurance Policy will offer to compensate up to Rs. 7,50,000/-. What Shriram Car Insurance Policy does not Cover? Shriram Car Insurance policy doesn’t cover accidental loss or damage suffered whilst the insured or any person driving with the knowledge and consent of the insured is under the influence of intoxicating liquor or drugs. Shriram Car Insurance policy doesn’t cover accidental loss or damage caused due to wilful Negligence. The policy doesn’t cover loss or liability while the vehicle is used outside the scope of limitations of use and / or being driven by a person not duly licensed. Shriram Car Insurance policy doesn’t cover consequential loss, depreciation, wear & tear mechanical and electrical breakdown/failure or breakages. Loss connected to nuclear or radioactivity or nuclear weapons. Loss connected with war and related activities. Policy deductibles: The first amount of each and every claim which you should bear. You can choose this amount as per the limits. The higher limit you choose, the greater the discount on the premium. The Private Car Policy covers use of the vehicle for any purpose other than a) Hire or Reward b) Carriage of goods (other than samples or personal luggage) c) Organized racing d) Pace making e) Speed testing f) Reliability Trials g) Use in connection with Motor Trade. Following are some of the key features & benefits of Shriram General’s Car Insurance Policy: Buy or renew car insurance online with Shriram General with your home comfort in few easy steps. Avail up to 50% no claim bonus even if your car is insured with any other car insurance provider but renewed with us. Avail our 24x7 customer support regarding car insurance or any other assistance. With Shriram Car Insurance, you can avail the best covers on low premiums. With our Car Insurance, you can avail hassle-free cashless claim service at preferred network garages. With Shriram, you can also buy two wheeler insurance and will get speedy claim settlement and can track your claim status online. 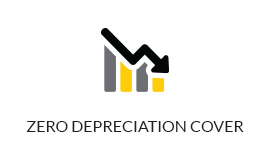 Zero Depreciation Cover: Depreciation depicts the devaluation of the vehicle as the days pass because of various factors like vehicle age, wear and tear, obsolescence. When you buy a new car its value cost higher. And the other parts of the vehicle material made up of glass, plastic, metal has different depreciation values. In case, your car gets damaged due to an accident you can't recover the entire expenses incurred. Here, if you have Shriram car insurance policy, we will help you in replacement of damaged parts after deducting the depreciation amount. Therefore, selecting zero depreciation as your car insurance add-on is a good initiative. Zero depreciation is quite popular among people as compared to other add-ons. 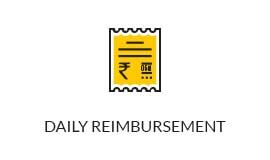 Daily Reimbursement: You can have the facility of daily reimbursement if you buy the additional car insurance services from Shriram general insurance. 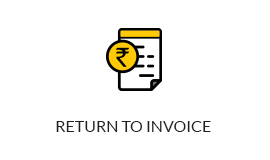 Return to Invoice: Return to invoice is one of the add-ons which give benefits of the invoice value of the car along with the insurance details, registration fee, and road tax. Insurers pay the required amount confirmed in the invoice in case of total loss declared. Personal Belongings: You buy car insurance to safeguard your car from any damage in the future. What about the personal belongings, they also need to be protected. It covers the loss of personal belongings including car accessories, laptop, or electronic equipment from the locked vehicle. 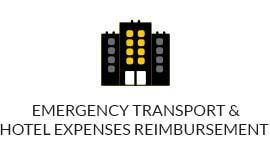 Emergency Transport & Hotel Expenses: Relying on public transport may sound cumbersome. To offer a breakthrough driving experience without any roadblock to happiness and freedom, we have introduced Emergency Transport & Hotel Expenses cover. Yes, you’ve heard us right! Isn’t that an amazing thing we do for you? This Add-On cover helps in compensating emergency transport & hotel expenses. You can avail Emergency Transport & Hotel Expenses add-on while buying car insurance. This cover pays you the cost for an overnight stay along with the taxi charges. 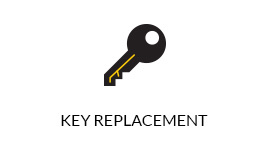 Key Replacement: Keys are essential but, several times these gets misplaced or may be stolen. In that case, if you are having the benefit of Key Replacement add-on you will get another. 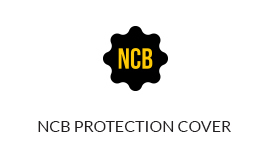 NCB Protection Cover: No Claim Bonus considered as the reward for the insured who have no claim records within policy tenure. There are people who mostly don't claim as they are quite confident about their driving. With NCB you can get discount up to 50% and the add-on cover allows you to avail this benefit. 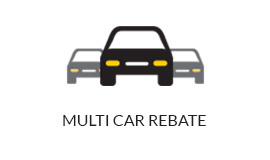 Multicar rebate: Multicar rebate as the name suggests, this cover relates to those who own more than one car. It will extend the add-ons like Depreciation deduction waiver, Key replacement, and Personal belongings benefits to the car or cars at applicable rates & condition on renewal with Shriram General Insurance. Step 1:- Fill out a simple form in order to estimate the premium payable according to your car type and make. Step 2:- Enter your personal details in the required fields such as name and address. Step 3:- Make payment online and own online car insurance instantly. With Shriram General Insurance, car insurance renewal is a quick and hassle free process. With minimal paperwork and speedy processing you can renew car insurance policy in no time. The renewal process is more or less the same as buying a new policy and can be done through three simple steps. Step 1:- Enter the expiring policy details on the insurance renewal online form. The form can be accessed through the Shriramgi website. Step 3:- Make payment online and your car insurance policy will be renewed instantly. How can you choose your IDV? The vehicles are insured at a fixed value called the Insured’s Declared Value (IDV). IDV is calculated on the basis of the manufacturer’s listed selling price of the vehicle (plus the listed price of any accessories) after deducting the depreciation for every year as per the schedule provided by the erstwhile Indian Motor Tariff. IDV i.e., Insured Declared Value is the current market value of the vehicle that starts depreciating by the time it came out of the showroom. In, case your car undergoes total loss or theft, IDV is the amount offered you to compensate. You can obtain IDV by deducting depreciation from the market selling price of the vehicle. A no claim bonus is the reward offered to those insured, who didn't have made a single claim during the policy period. You can get benefit accordingly when you don't file any claim and the discount keep increasing with the consecutive claim free years until it reaches up to 50% The discount in NCB ranges from 20-50% on the Own Damage premium of your car. NCB is your right and not of your vehicle. This is an acknowledgement of your safe and cautions driving throughout the policy period. 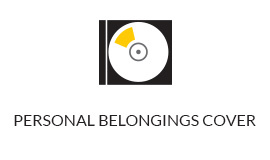 The NCB discount starts with 20% after one claim free year, 25% for two consecutive claims-free years, 35% for three consecutive claim-free years, 45% for four consecutive claim-free years and ultimate of 50% discount for the entire five consecutive claim-free years. One of the significant benefits of NCB is, it keeps on increasing on every claim free year and never comes down if there is no claim. What else Shriram car insurance will be giving you? Automobile Association Discount: We will give you a discount in OD premium for your valid membership of recognized Automobile Associations such as Automobile Association of Eastern India, the Uttar Pradesh Automobile Association, the Western India Automobile Association, Automobile Association of Southern India, the Automobile Association of Upper India. Discount for Anti-Theft Devices: If your Car is fitted with anti-theft devices approved by Automobile Research Association of India (ARAI), Pune and whose installation is duly certified by any authorized Automobile Associations, will give you discount on the OD component of premium. To further protect you and your near ones commuting in the vehicle with you, we offer a range of value added extensions to your Car Insurance Policy at a nominal additional premium. Electrical & Electronic Accessories: Your electrical & electronic accessories like music players, seat covers, LCD mini TV, fog lights, etc. can also be covered. Bi-Fuel System (CNG/LPG Kit): Your CNG/LPG Kit can also be covered either it is in-built or fitted separately. 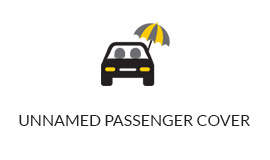 Personal Accident: You can avail of this cover for yourself (as the insured), for the driver of your vehicle (in case you have a paid driver) and unnamed passengers as per the seating capacity of the vehicle. The Personal Accident cover to protect owner/driver is available for Rs. 15 lacs. With a package or even Act Liability Car Insurance Policy, you don’t need to worry about third party liability. Our policy provides an unlimited coverage i.e. whatever the court awards as your liability to the “Third Party” due to accidental death or injuries caused by your vehicle. 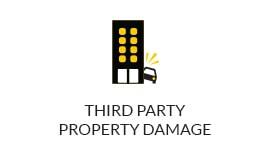 In case your vehicle causing “Third Party” property damage, we will offer that compensation also up to Rs. 7,50,000/-. A bundled cover with three-years for the third party component and a one-year term for the Own Damage. In case of theft of your car, you would need to file a police complaint as soon as possible, so that when you are registering a claim with us you are able to produce the same, along with the other documents. In case your stolen car is untraced by the police, they will issue a Final Report confirming no recover of the vehicle. Whether your car is vandalized, meets with a collision, or gets damaged by some peril, you would need to take it to the garage, if it is in a movable condition, or have it towed there to avoid any further damage. Our policy also pays for towing charges from the place of accident to the workshop up to a maximum limit of Rs.1500/- for cars. You will have to submit the copies of all the required documents to the Surveyor or garage/dealer who is helping you with your Vehicle Insurance claim. Surveyor will get them verified with the originals. 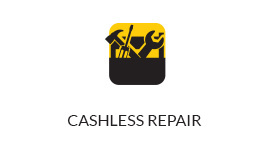 Following which, we will make the payment for the repair directly to the network garage once it is ready. Do note that you will have to pay the excess amount according to the norms mentioned in your policy that include deductibles like depreciation, salvage etc. How we settle your claims? 24X7 claim notification service: We are responsible to notify you every single update of your claim registered with us. Our claim representatives are fully attentive and active to feed you back whenever needed. Our policyholders are free to put their query any time and it will be resolved in a suitable time period. Timely customer contact and assistance: Our support team is ever ready to help you out in your need, whether your query is related to the insurance or claim of the car. You will be given assistance day and night without time constraint. Toll-free numbers are already given on the website on contact us page. Survey and assistance within a day: The facility of the survey is given on the same day of the incident, accordingly assistance is offered to you at the spot or at the workshop. Quality claim settlement & Customer satisfaction: We ensure the quality of claim settlement and customer satisfaction in each and every step of claim process. We believe in serving the best to our customers by providing a clean claim settlement process. At the same time, we keep in mind your satisfaction also. Simple Claims Procedure: The claim settlement process for our customers is easy and hassle-free. You can report and track your claim from anywhere. Updated claim status: A claimant can know his/her claim status at any time from Shriram General Insurance. You can get to know about your claim status online 24x7. Ultimately, you have to ensure the protection of your car. You can choose the method as per your choice whether offline or online. Your car insurance policy is the most important document for your vehicle because it protects you against financial loss and legal issues. Millions of car owners across India trust us to insure their vehicles since we provide extensive package policy that protects them comprehensively. Your car is one of your most important possessions. Give it due care and protection it deserves with Shriram General Insurance. To deal with any sudden expense and a stress-free driving experience, opt for our Car Insurance. It not only helps in covering unforeseen exposures but also offers an overall protection for untoward events. In addition to offering motor insurance, Shriram General Insurance presents a wide array of policies to choose from. . So Be insured......and..... Rest assured with us. The add-on covers on my policy were extremely helpful. I got my claim easily and also reserved my NCB. Shriram General Insurance offer great service. Claims are handled very quickly and easily. Shriram has made it so easy to renew any policy online without any tussle, trouble. 1. Why should I buy / renew my motor insurance policy Online? Get up to 40% discount when you buy your insurance policy online. No paperwork is required to buy your insurance policy online. Multiple payment options via Credit Card, Debit Card or Net Banking. 2. For how long is my motor insurance policy valid? IRDAI Consumer Education:- Insurance is the subject matter of solicitation. IRDAI Registration Number - 137. CIN No. U66010RJ2006PLC029979. BEWARE OF SPURIOUS PHONE CALLS AND FICTITIOUS/FRAUDULENT OFFERS. IRDAI clarifies to public that IRDAI or its officials do not involve in activities like sale of any kind of insurance or financial products nor invest premiums. IRDAI does not announce any bonus. Public receiving such phone calls are requested to lodge a police complaint along with details of phone call, number.